The existence of salted eggs dates to many centuries ago in Asian countries like China, Vietnam, Philippines, and Thailand. Salted eggs were probably a daily food among farmers and villagers where other foods were scarce and the people were poor. The only food they had to survive on in those days came from their own crops and farm animals. Preserved and salted foods were also common as they could be stored for a long time without refrigerators, which they didn't have back then. 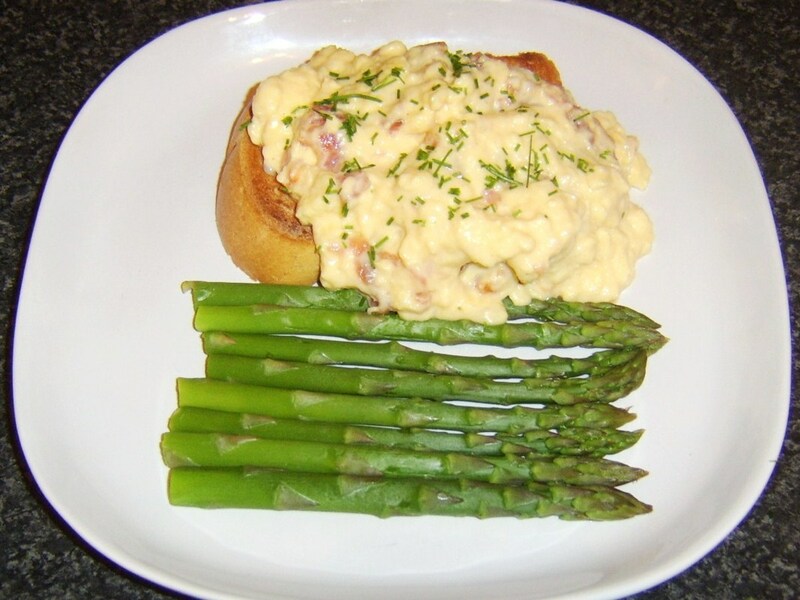 Duck eggs are often used in the making of salted eggs. The traditional way of making salted eggs is by covering the eggs in a salty mud paste and letting the eggs cure for many months. This method is still being used today. Other modern methods are also being used, and it could be one of the reasons why there are more and more inferior-quality salted eggs being sold out there. The Chinese make salted duck eggs by coating them with a thick paste made from charcoal, salt, water and then wrapping each egg in a plastic bag. The Filipinos use a mixture of clay, salt, and water to coat the duck eggs. The duck eggs are then cured for a few weeks before they are ready to be sold in the markets. It is easy to tell if a cooked salted egg is of good quality or inferior type. A good salted egg has a bright yellow yolk in the middle that is oozing with thick yellow liquid. A poor quality salted egg lacks the yellow colour in its yolk, sometimes not even pale yellow and is often too salty to be eaten. 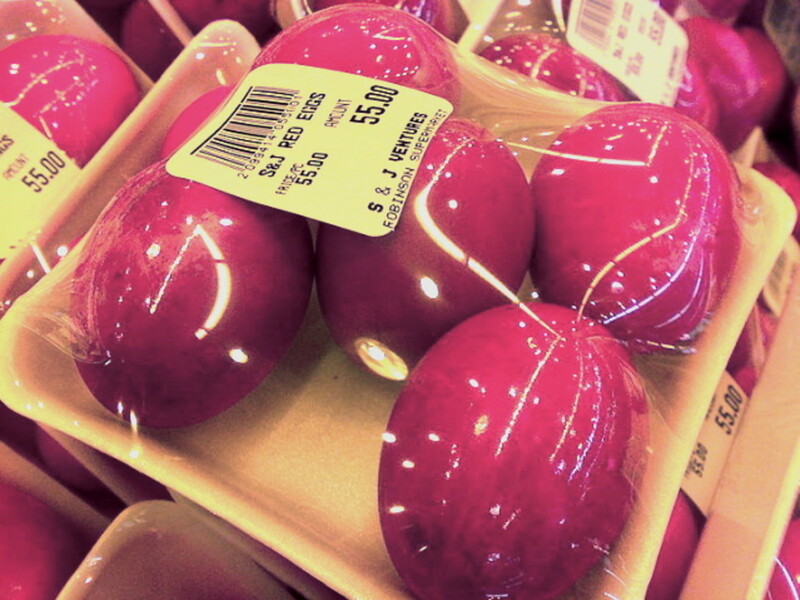 You can find salted duck eggs in most Asian grocery stores. 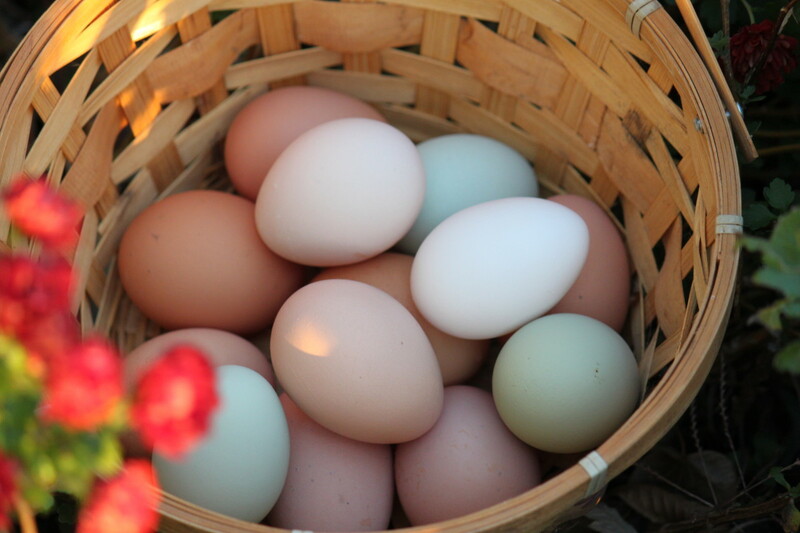 Some of the eggs have been dyed with red or pink colour so as not to get them mixed up with the normal fresh eggs. Some eggs are wrapped individually in plastic bags and are still coated with the black charcoal paste. Half a dozen salted eggs usually cost around $6 from the grocery store. 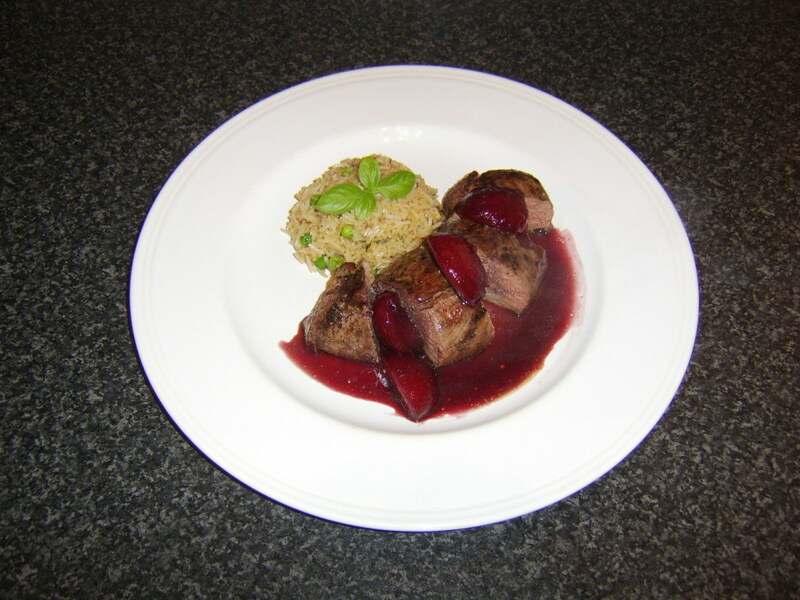 You can also make your own at home with chicken, duck, emu, or quail eggs. 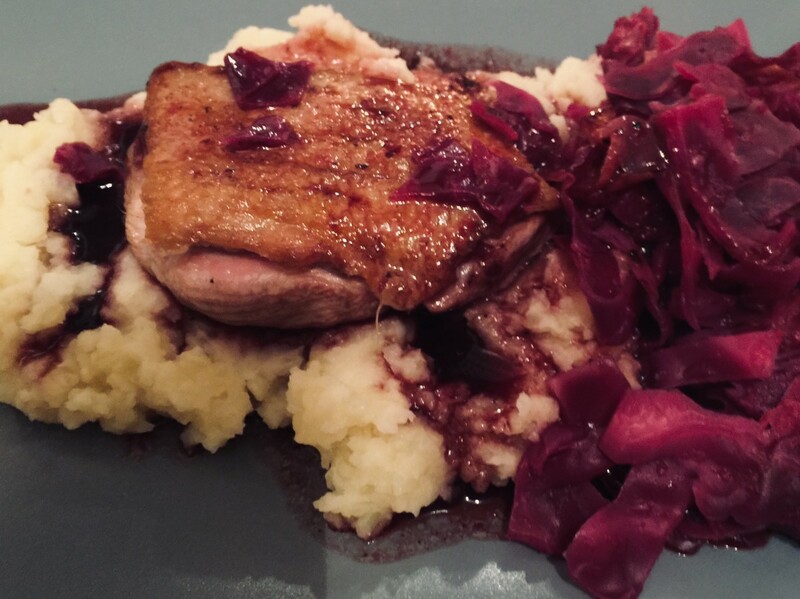 Duck eggs are still the best for making this particular dish. There is a particular taste in duck eggs that seems to bring out the aroma, texture, and taste of an authentic salted egg. So, go for duck if you can find them! Pour the cooking salt and water into a pot and boil. Stir until all the salt has melted and keep boiling until you see lots of salt crystals start to form on the side of the pot. This means the salt water has reached a saturation point and the salt has started to crystallise. 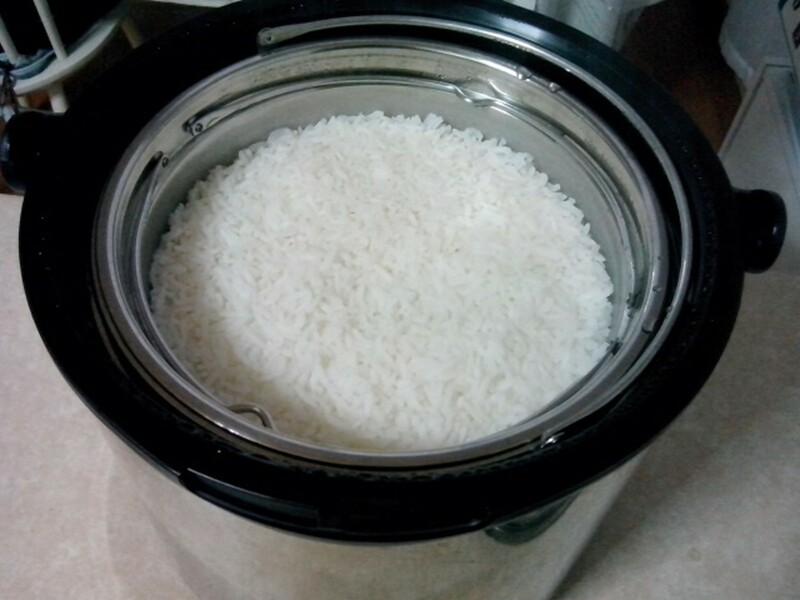 Remove pot from heat and let the salt water cool to room temperature. Put the eggs in the glass container. 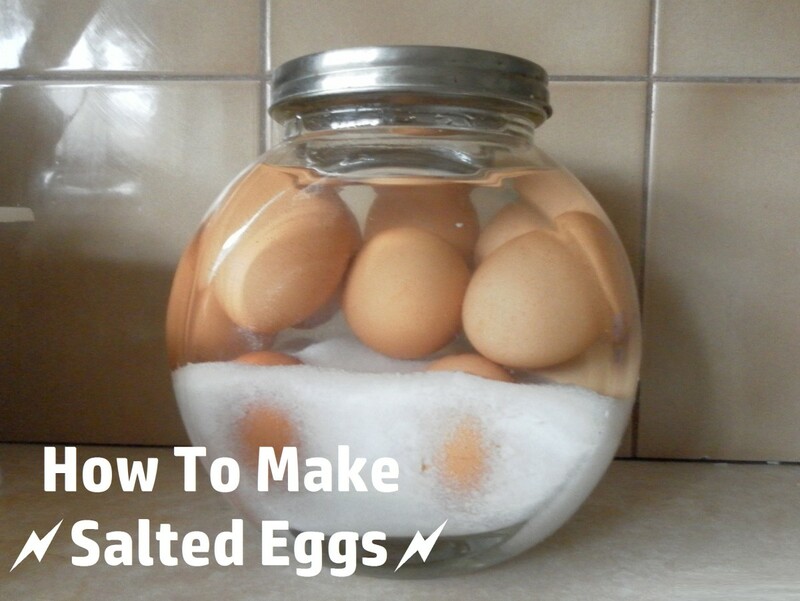 Slowly pour in the salt water and salt crystals until all the eggs are submerged in the water. Cover the container with the lid and leave it in a cool dark place. 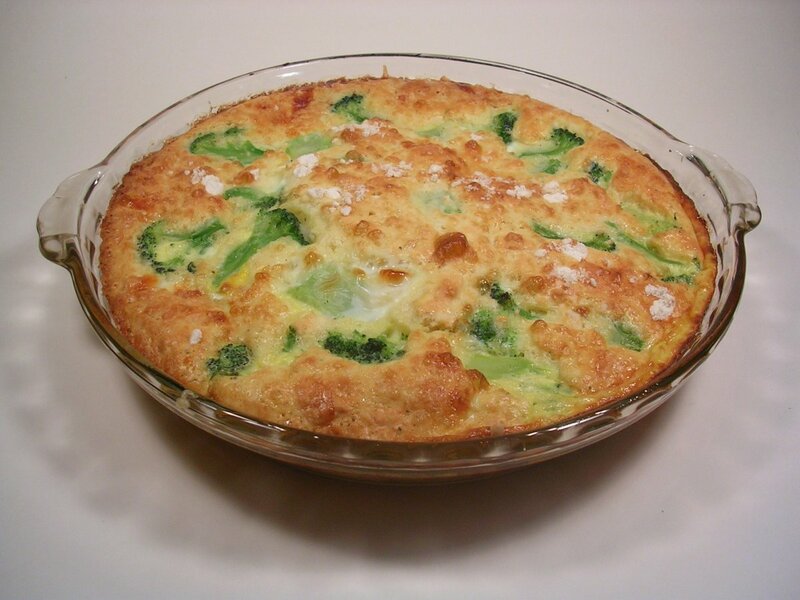 It takes approximately 4 weeks for the eggs to turn salty. If you prefer less salty eggs, you can take out one egg to test for saltiness after three weeks. Boil the salted egg in water for ten minutes until it is hard-boiled. Let it cool and then remove the shell. Taste and see if it is salty enough for your liking. If not, leave the eggs in the container for another week or two, depending on how salty you want them to be. When you are satisfied with the saltiness of the eggs, remove them from the salt water and store the eggs in the refrigerator until they are needed for cooking. Salted eggs can be served as a small side dish with rice or noodles. They can also be used as a filling for Chinese mooncakes. Why is salted chicken egg not commercialized like salted duck egg? 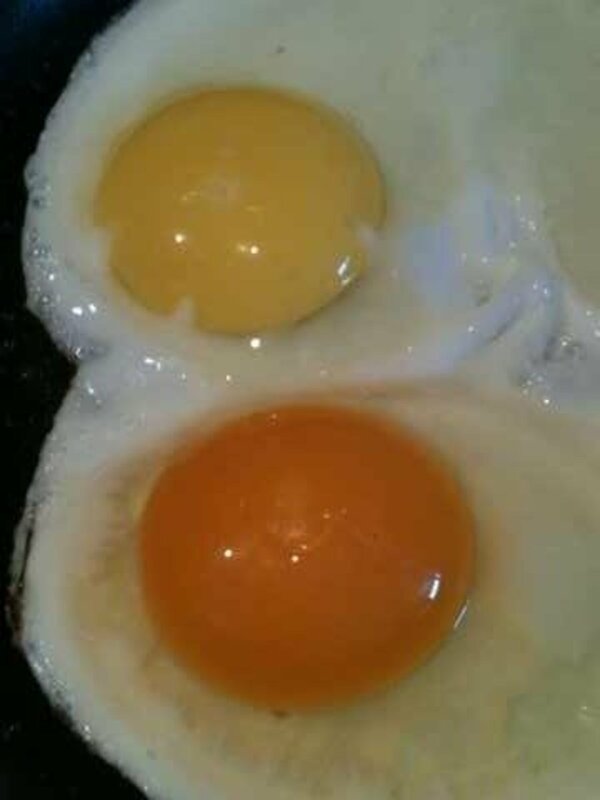 What is the difference between a salted chicken egg and salted duck egg? From my own understanding, the duck egg has a thicker shell that allows it to store better for a long time. Also, duck eggs have a distinct flavor that some people do not like - preserving the duck eggs in salt tends to get rid of that flavor. 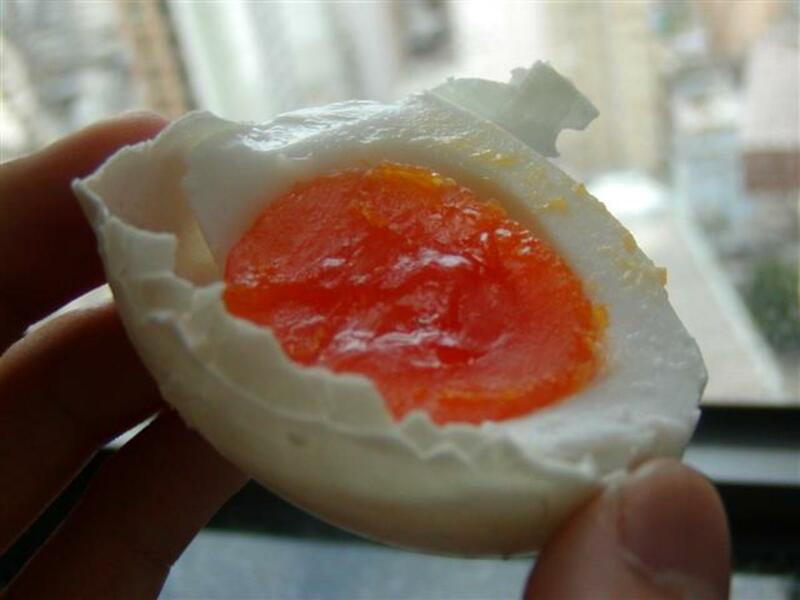 Duck eggs have bigger yolks, salted egg yolks are becoming very popular in a lot of Asian recipes! Why should we use a glass container for salted egg stock? What about a plastic Tupperware? Can I reuse the salt and water to make another batch of salted eggs? You will need to reboil the salt and water if you want to reuse the solution. Why do the eggs float when put in a container with salt water? Salt water has a higher density that causes the eggs to float. How does the egg become salty when cooking? 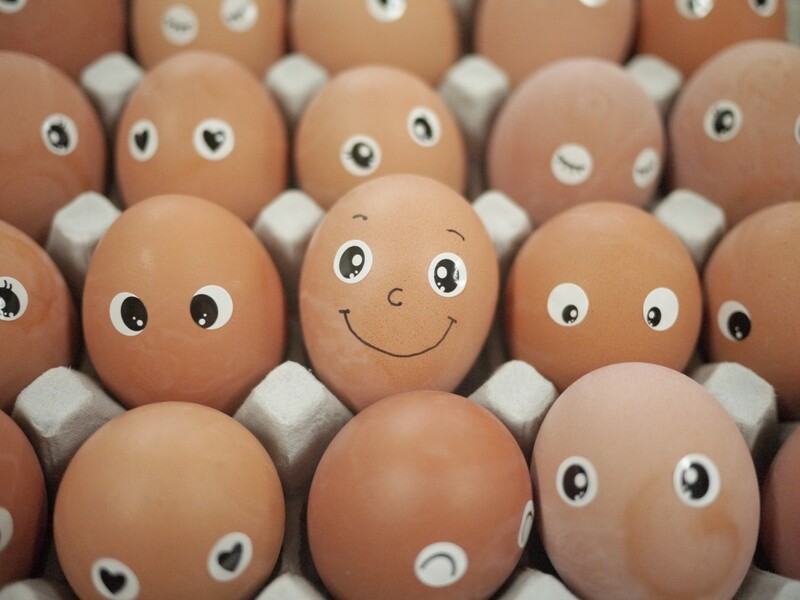 Eggshells are porous and salt water can go through the eggshells by a process called osmosis. Is it true that it is less hygienic to use a mud/soil in making salted eggs? What if an egg is cracked before you put in the glass to make salted eggs? 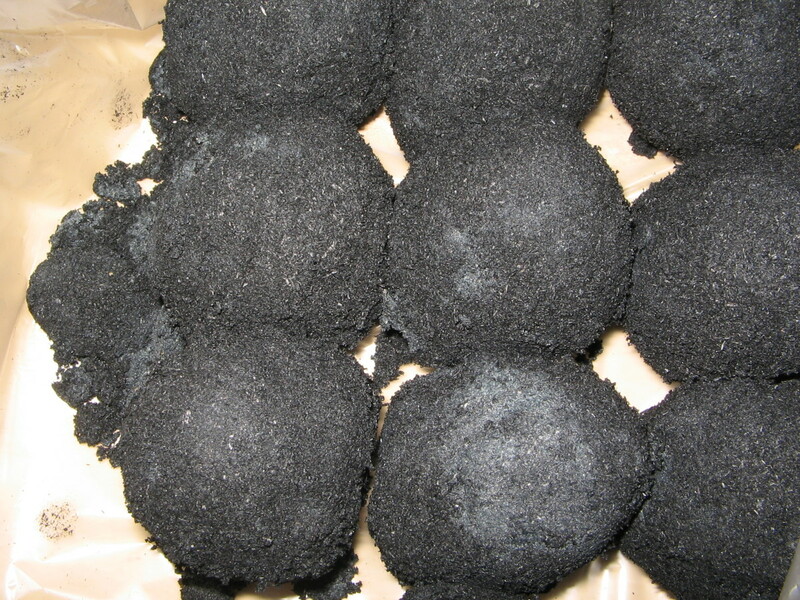 Charcoal and mud for preserving eggs are sometimes not readily available in some countries. This article is about making salted eggs without having to use charcoal or mud. Maddy, you must be referring to the black paste on the salted eggs that are sold in the shops. Yes, it is very common to find salted eggs still coated with the black paste, especially in south-east Asian countries. The paste protects and preserves the eggs. Black part on salted egg. Is it normal? Thanks lady rain for this tip on how to salt duck eggs as I don't know how to pickle duck eggs. happypuppy, thanks for your vote. I have tried cooking the homemade salted eggs and then storing them in the fridge for up to a week only. I think the uncooked ones store a lot better. I love salted eggs as well. I make them at home too. Nowadys it's hard to find uncooked salted duck eggs at the Asian supermarkets here. They only sell cooked ones, which I don't like. I love salted eggs too and I can control the level of saltiness when I make them myself.